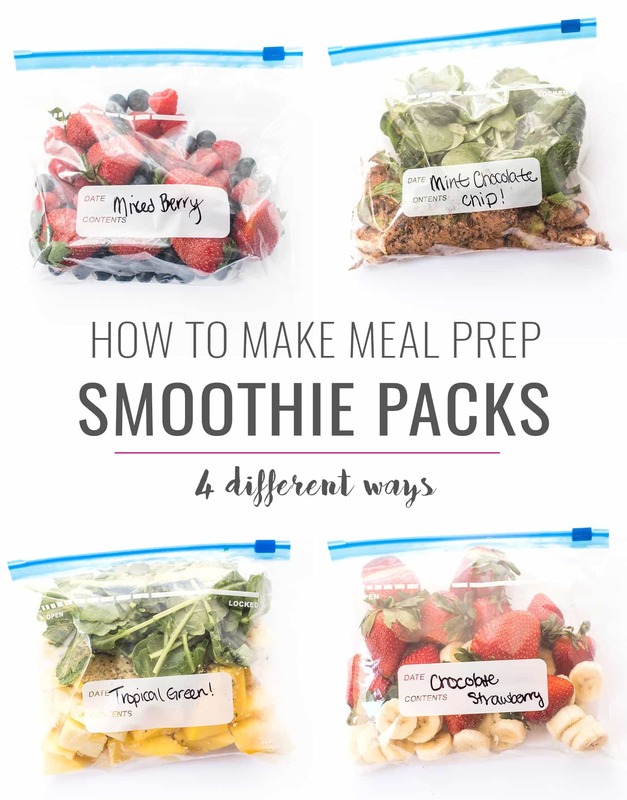 These simple meal prep smoothie recipes are a great way to make sure you're getting in a healthy breakfast each day. Freeze, blend and breakfast is served! Smoothies have always been a go-to breakfast for me, especially when I'm short on time or am feeling like I need something that will give me a quick boost of energy in the morning. But I just recently discovered the idea of meal prep smoothie packs and I'm obsessed. We spend a few hours over the weekend to prep a bunch of meals so that during the week, you don't have to worry about cooking or shopping. I showed you how to make Meal Prep Quinoa Burrito Bowls, as well as Coconut Quinoa Curry a few weeks ago and that's the general idea: prep once and have meals all week long. Lunches and dinners are usually pretty easy for me because I love leftovers, but breakfast is where I start to struggle. I tried chia pudding and overnight oats, but I always revert back to smoothies. So I decided to try my hand at meal prep smoothie packs and they're a game changer. 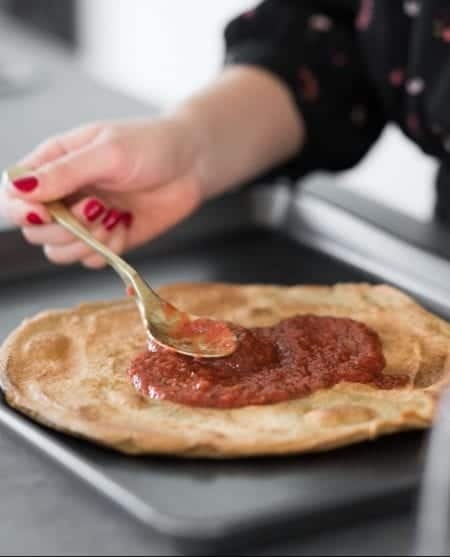 All you have to do is prep your ingredients, put them into freezer bags, pop them in the freezer and blend with your favorite liquid when you're ready to eat. 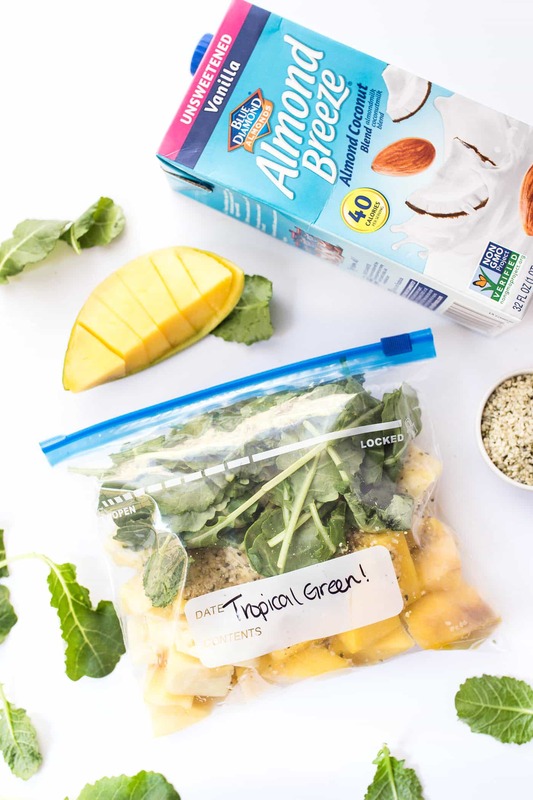 Saves SO much time and lets you have perfectly portioned smoothies whenever you want! 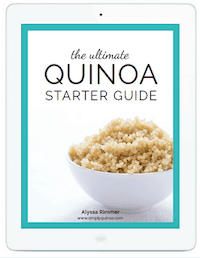 I'm really excited for you to try these recipes because I tried to cater to as many different diet types as possible. We've got green ones, we've got ones that are banana-free, low in sugar, and they're all plant-based and vegan. Not to mention, crazy simple to make! 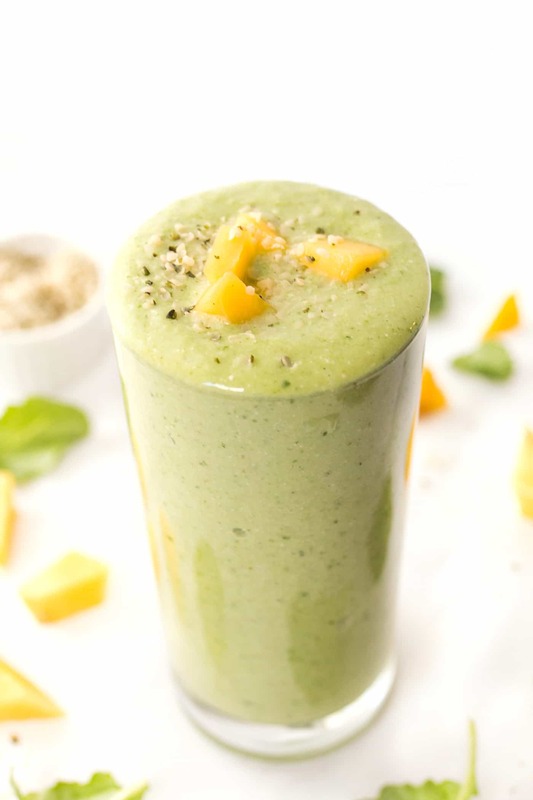 For the base of these smoothies, we're using two of Almond Breeze's shelf-stable almondmilks. What I love about these is that you can stock up at the grocery store, use them when you're ready and you don't have to worry about them taking up room in the fridge before you're ready to open them. Honestly, I used to only use only water as my smoothie base, but now that there are so many amazing plant-based milk options out there, why not try and get more flavor and creaminess into your smoothies? 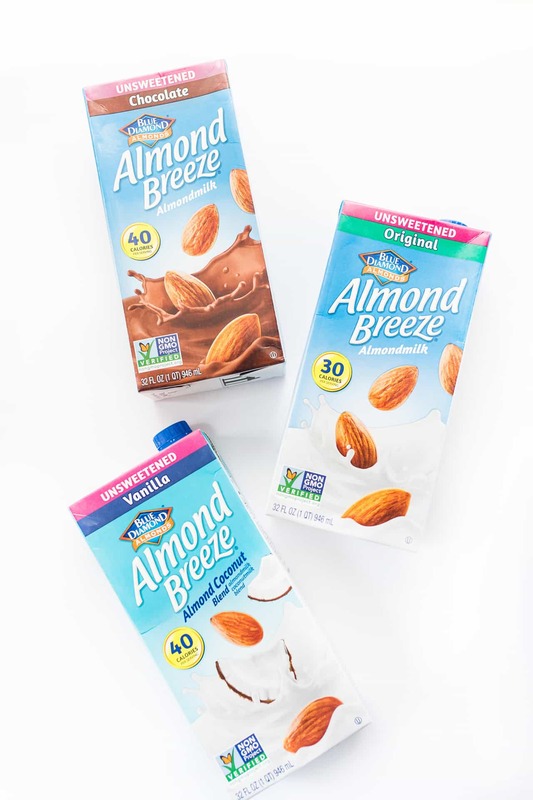 Almond Breeze offers a ton of shelf-stable options, but my two favorites are the Unsweetened Chocolate Almondmilk and the Unsweetened Vanilla Almond Coconut Blend. 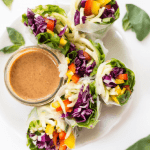 They're both incredibly creamy, add a lovely flavor to the smoothies, but keep it light and healthy without adding a lot of calories, fat or added sugar. 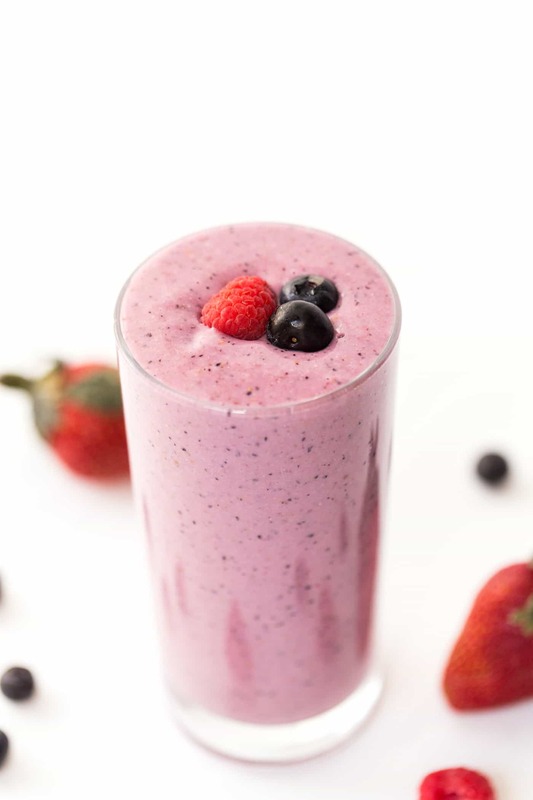 Berries are one of my favorite smoothie ingredients and this one is 100% berries! They're sweet, without being too high on the glycemic index, meaning they won't spike your blood sugar, but will still taste delicious. I used a blend of strawberries, blueberries and raspberries, but feel free to change the combo for what you have on hand (blackberries are also one of my faves). 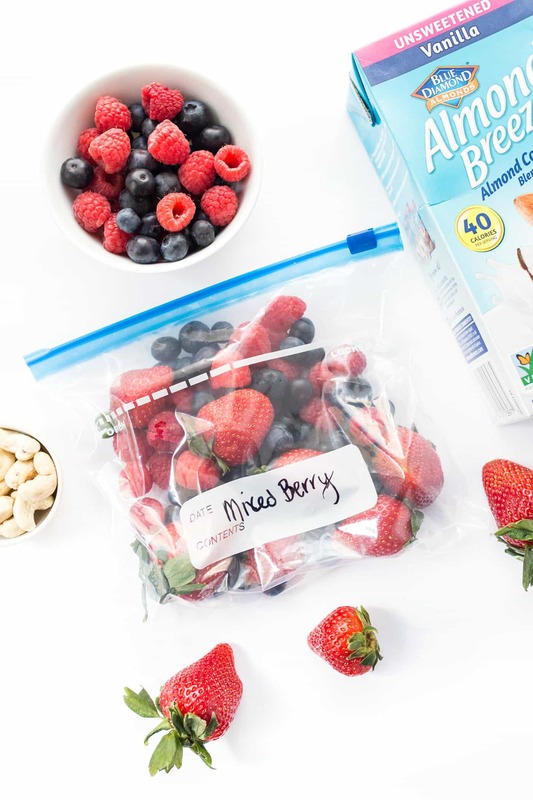 Add the berries into a small bag and place in the freezer. When ready to blend, add berries and almondmilk and blend until smooth. If you're looking for a dessert/ice cream inspired smoothie, this one hits the jackpot! It's ultra creamy and smooth, but tastes like mint chocolate chip ice cream. 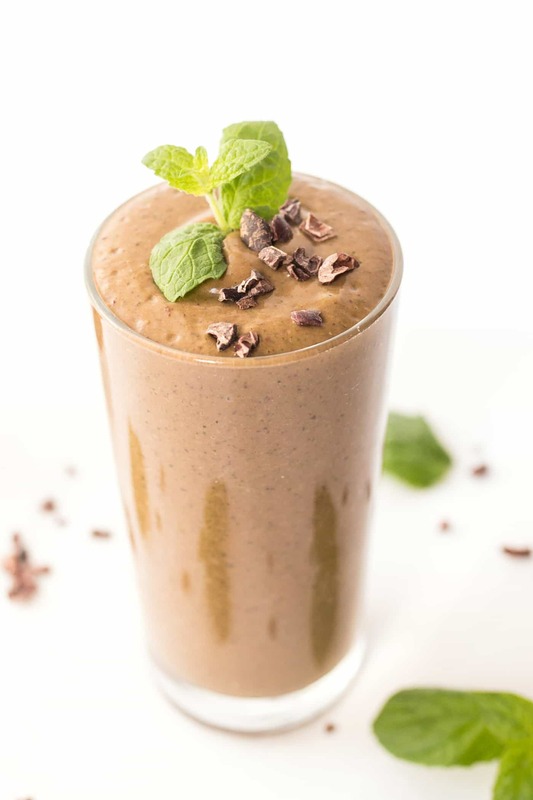 We're using bananas and avocados to give us that perfect texture, cacao nibs and cocoa powder for the chocolatey part (along with chocolate almondmilk! ), fresh mint for that minty flavor and spinach! Yes, we even snuck spinach into your smoothie! 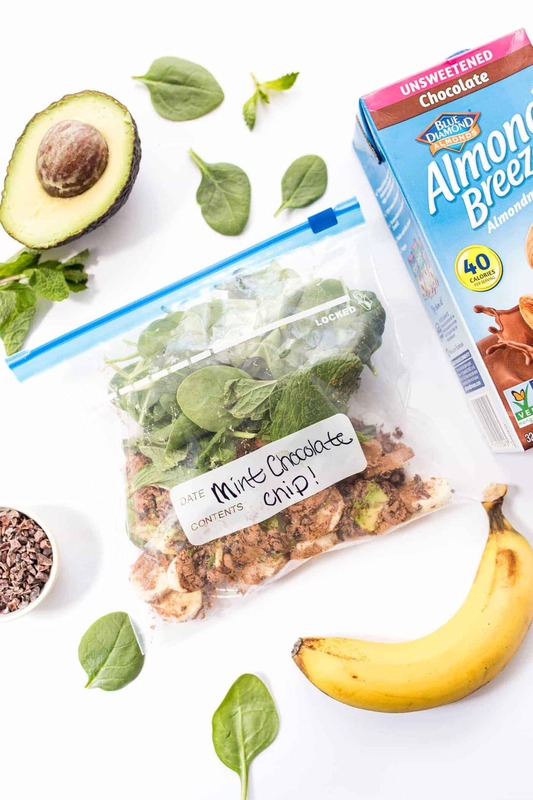 Add the banana, avocado, cacao nibs, cacao powder, mint and spinach into a small bag and place in the freezer. When ready to blend, add the smoothie pack, along with the almondmilk, and blend until smooth. This is a favorite post-workout smoothie of mine because it's higher on the carb side, but also adds some protein and greens. 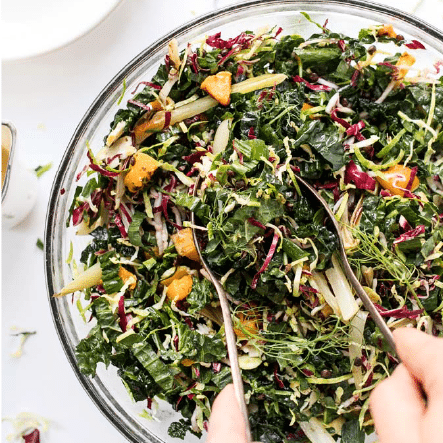 As our fruity base we're using a combo of mangos and pineapple (the perfect tropical blend), as well as adding in hemp seeds for protein and two giant handfuls of baby kale. It's sweet, satisfying and pairs perfectly with the vanilla almondmilk coconut milk! Add the fruit, hemp seeds and greens into a small bag and place in the freezer. When ready to blend, add smoothie pack, along with the almondmilk, and blend until smooth. Now THIS is my kind of smoothie! 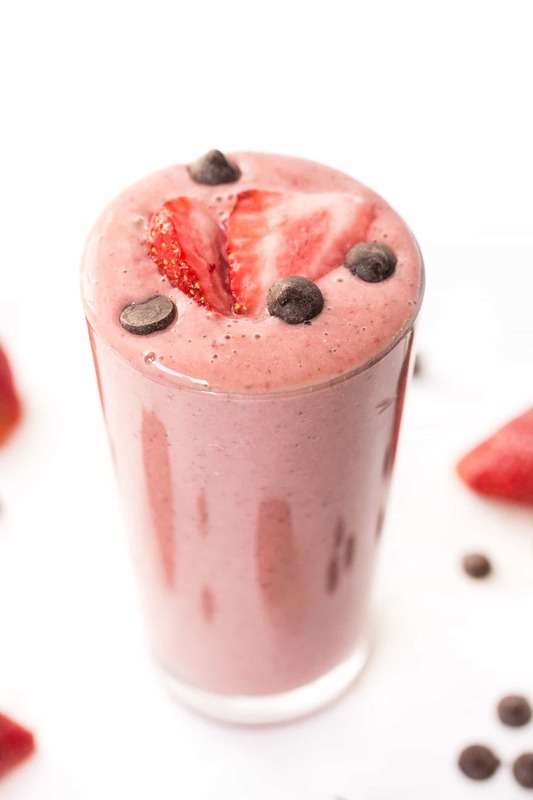 It tastes like a cross between a chocolate and strawberry milkshake and is honestly the best way to start the day. 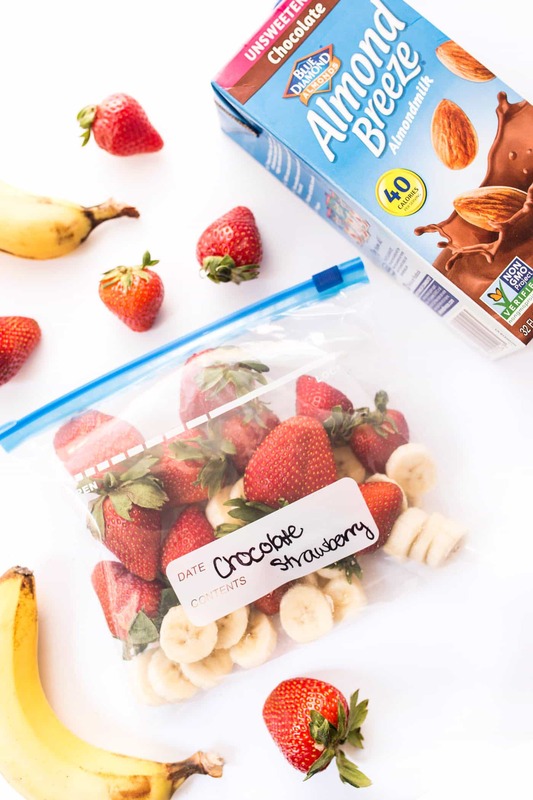 It only requires three ingredients – we're using bananas and strawberries as the base and adding in unsweetened chocolate almondmilk – and it's just delicious. You're going to love it! Add the fruit into a small bag and place in the freezer. When ready to blend, add the smoothie pack, along with the almondmilk, and blend until smooth. Thank you for these wonderful recipes. They are all things the average person can find at their local stores. I’m so excited to try them all. I’m so excited to hear how they turn out! I followed one of your combinations and it made a huge cup. Is this the necessary nutritional size for the day or can i drink half and save the rest for the next day? How many cups does each one make and do you know the calories and protein count for each smoothie? Hey, I noticed you didn’t core your strawberries, do you put them in the blender leaves and all? I just love the recipes. 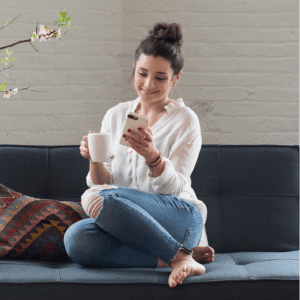 They’re so easy, simple and quick to prepare! I don’t have much time to prepare meals during the week so I love posts like this. Thank you!